By mid-1950, Packard’s designs from 1948 looked decidedly dated, as GM and Ford had both introduced shoebox redesigns in 1949. Designer John Reinhart’s $20 million redesign of the 24th Series Packard 200 was launched on August 24, 1950. It was wider and lower than the preceding models with a larger greenhouse, five-foot wide “horizon vision” windshield, and rode on a 122-inch wheelbase. The 200 Junior models were divided into two lines. The Standard model had a single strip of chrome on the side and a straight bar “toothless” grille. It was offered as a two- and four-door sedan and a two-door business coupe. The Deluxe line was built in two- and four-door sedans, but all the differences were in trim, with full-width hubcaps and cloth and vinyl interior, instead of the Standard 200’s plain cloth. Both lines were powered by the 135 bhp 288 cid straight-eight engine with a three-speed manual gearbox, though overdrive was available as a $100 option. Packard’s Ultramatic automatic transmission was could be had for $189 extra, in which case the compression ratio was increased, and power went up to 138 bhp. The 150 bhp, 327 cid engine was available for $45 extra. 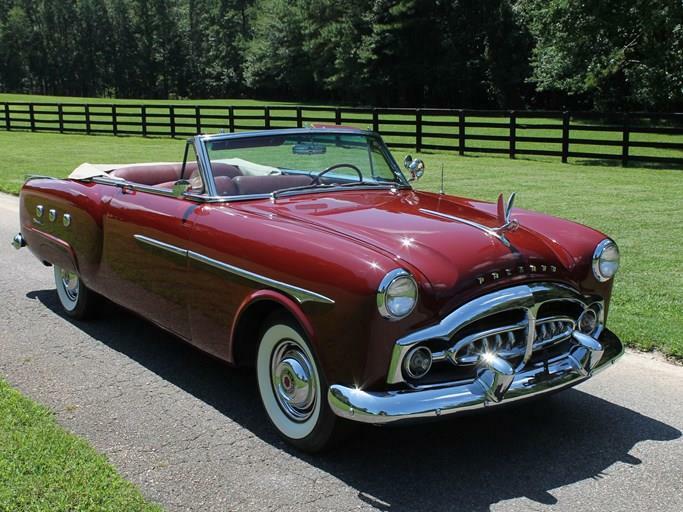 Packard sold 100,713 cars in the 1951 model year, and 24,310 were Standard 200 models, with another 47,052 Deluxe examples. Prices started at $2,469. On October 12, the Society of Motion Picture Art Directors declared the new Packards “the most beautiful car of the year.” A Packard 200 also scored 22.023 mpg in the 1951 Mobil Economy Run, beating 12 cars in its class. The Korean War led to renewed military contracts worth an estimated $200 million to Packard, and the company built a new plant at Utica, Michigan, adjacent to its 55-acre test track. It also announced that in the future, it would make annual model changes. As an unusual footnote, Frenchman Jean Trevoux actually won one of the legs of the 1952 La Carrera Panamerica road race through Mexico in a privately owned 1951 Packard 200. He placed fifth overall in the stock car class behind four factory Lincolns, which were pre-release 1953 models. The 24th Series Packards were undoubtedly well-built, but their survival was seriously impacted by the company’s 1956 merger with Studebaker and subsequent dissolution into badge-engineered Studebakers. Packard spares became hard to find, and the Ultramatic transmission proved particularly difficult to rebuild.